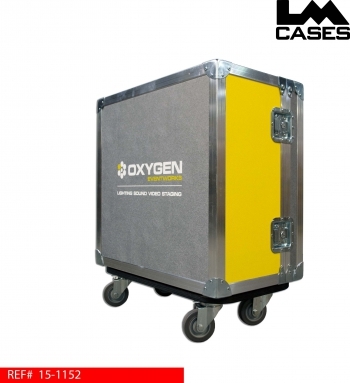 This case was built for Oxygen Event Works for video processing equipment. 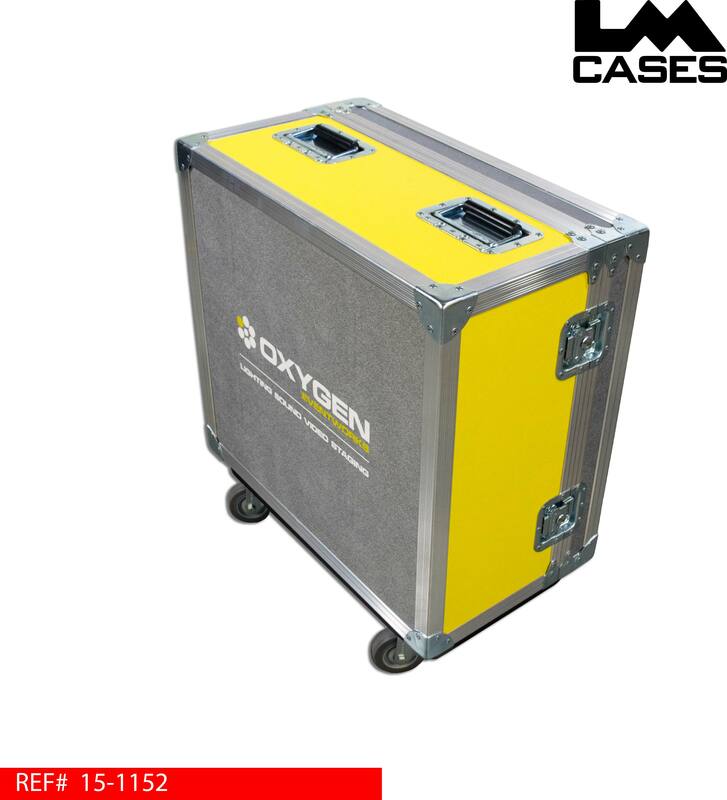 The case features a removable 4RU inner rack shell and an independent foam lined exterior case. 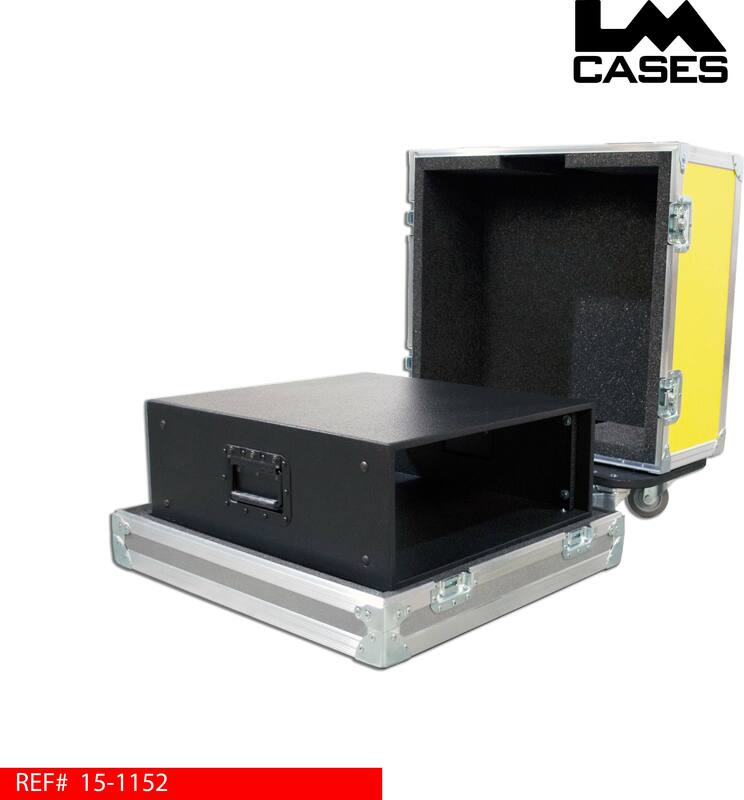 The inner rack is built out of 1/2" Baltic Birch plywood and is finished with our black textured coating. The rack features 20" from the front rails to the rear rails with a 1" recess for the front & rear rails. The rack shell also features black recessed handles. 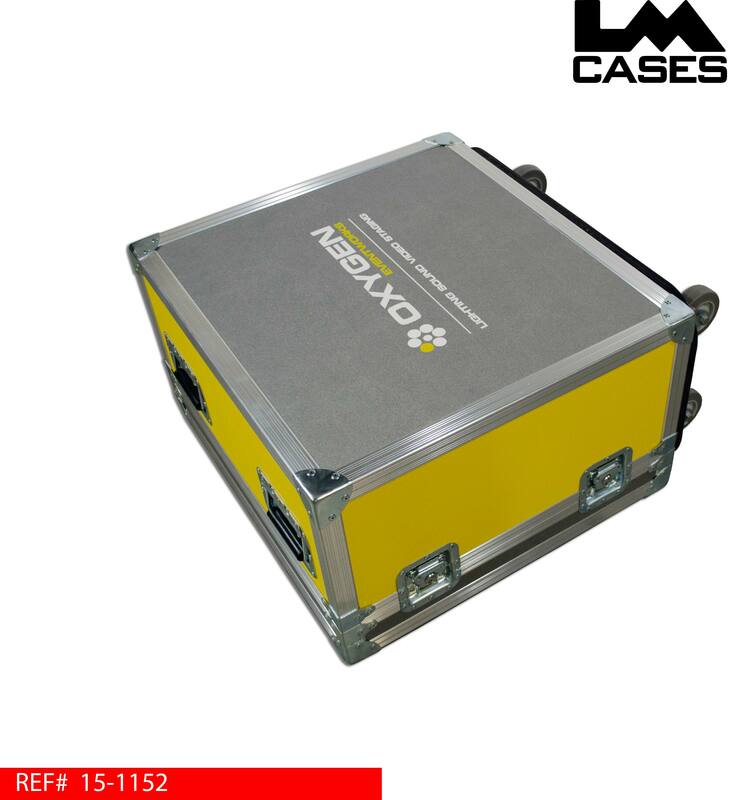 The exterior case is built out of 3/8" plywood and features a mixture of Yellow and Silver ABS panels to match the company's colors. 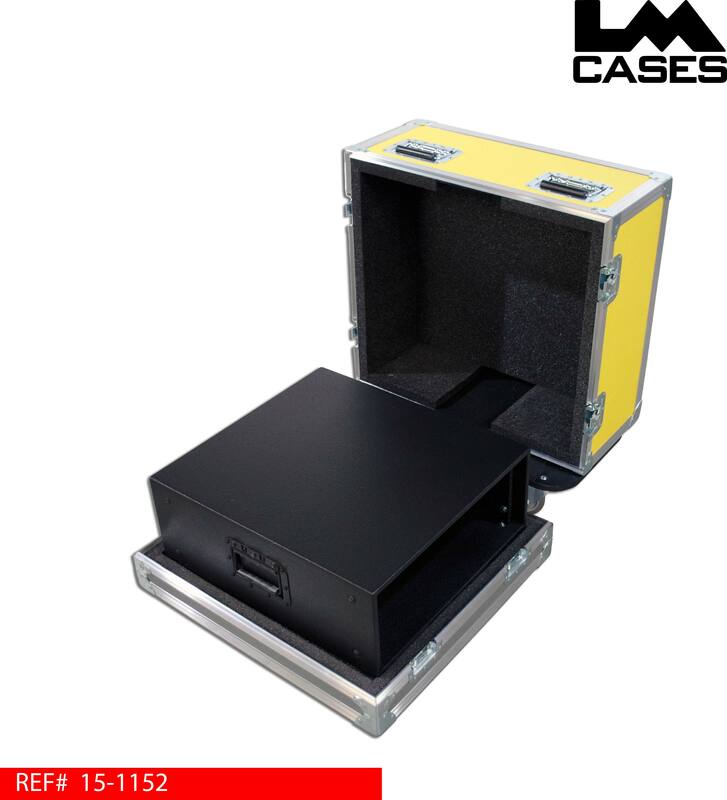 The case also features 3.5" casters and a multi-color silkscreen of the OEW logo. Special thanks to Oxygen Event Works!